Lucy was a feisty rescue, carrying on indomitably in the face of multiple medical challenges. She was rescued from the streets and we will never know the many stories she could have told us of her time there. She had, we hope, a comfortable retirement until her medical challenges bested her. 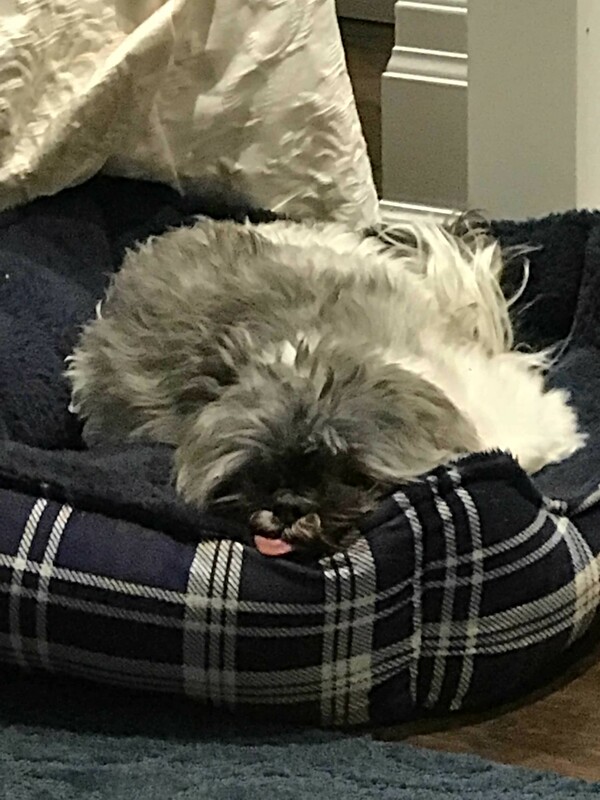 We will always remember her with love - broadly grinning when she was happy (particularly when she circumvented a boundary), barking imperiously when she wanted something, tucking into her meals with voracious enthusiasm, and curling up to sleep in her bed by the fire, with her little pink tongue out. Sleep well, Lucky Luciana the Piranha.